Home Events Shiv Jayanti Celebration in Nashik rejoiced with Shiv Bhakts across Maharashtra! 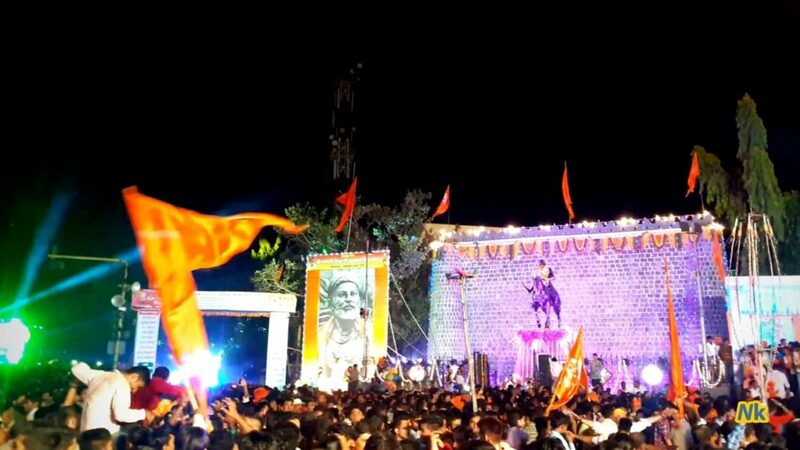 With saffron flags swaying high across Nashik, Shiv Jayanti, the birth anniversary of Chhatrapati Shivaji Maharaj was celebrated with zest on 19th of Feb. By 5.30 am, Music boxes started playing Shivaji folksongs or Powada without any break throughout. As a matter of fact, the city this year got to see more than 100 well-decorated daises where the beautiful carving of Shivaji was positioned and worshipped by all the Shiv bhakts. Many vehicles including school kids’ were seen travelling around with saffron flags attached to their vehicles. The official celebration of Shiv Jayanti by State government was held at two places in Nashik – Golf Club Ground and Shivaji Chowk (Nashik Road). With a grand procession and cheering of slogan ‘Jai Bhavani, Jai Shivaji’ in beats of the exceptional and powerful Nashik Dhol, people didn’t seem to be losing any spirit at all throughout the event. District guardian minister Girish Mahajan participated in both the processions which took place in the city with the Minister of state for defence Dr Subhash Bhamre alongside Mayor Ranjan Bhansi and MLA Balasaheb Sanap. 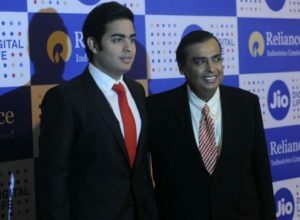 Girish Mahajan also took interest in dancing along with the Lezim group’s dance moves. Educational institutions have been following the tradition of Shiv Jayanti celebrations. Major educational institutions like Maharashtra Open University of Health Sciences and Yashwantrao Chavan Maharashtra Open University took their interest in celebrating this day with a special procession on 19th Feb while other most institutions, especially of primary students, celebrated Shiv Jayanti the next day. According to Times of India, Some communities and organizations in Nashik celebrated the special day in distinctive ways which also include the donation of basic amenities to the needy people. For tribal students of Peth tehsil, Social Networking Forum, a group in Nashik donated study materials to Govardhan Guruji library in Mohpada village.